Industry: Agro Manufactures and Exporters . SNTC was established in 1942 in Amritsar as rice traders. In 74 years 3 generations of the family as joined and worked to grow this company. Currently SNTC is a renowned for its long grain rice export. 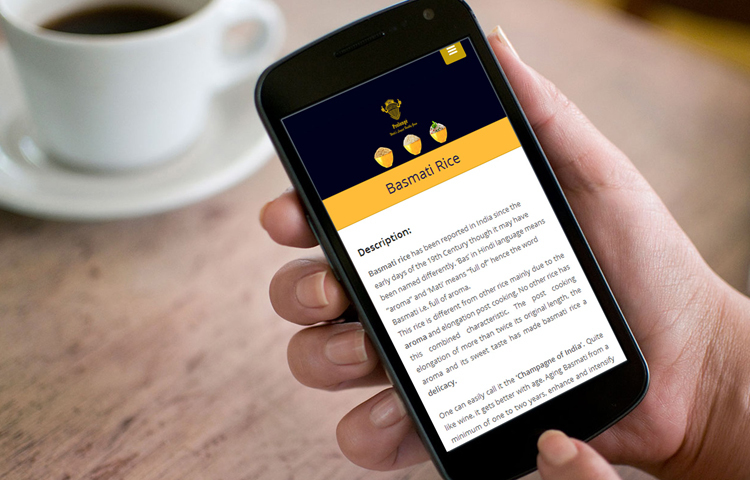 The company initiated a brand by name of SNJ for selling packaged rice in Indian market. A Revamped brand identity which can showcase the heritage along with the field. 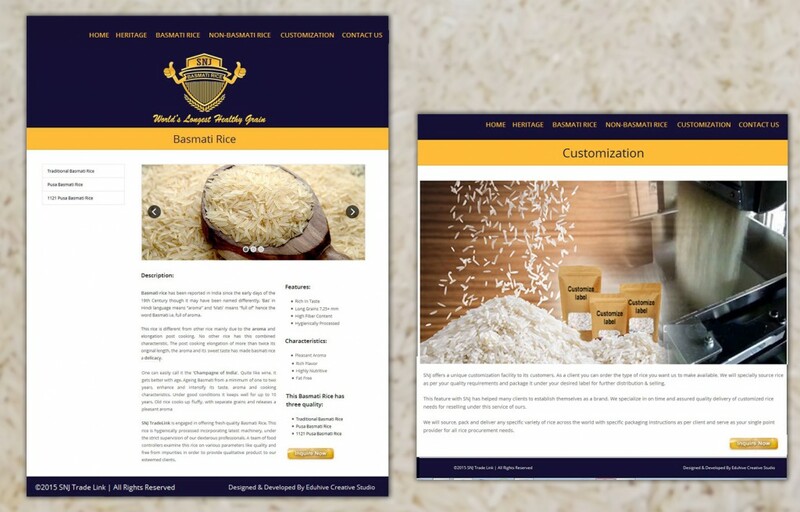 A responsive website for SNJ tradelink to showcase the various qualities of rice which are available with the company. 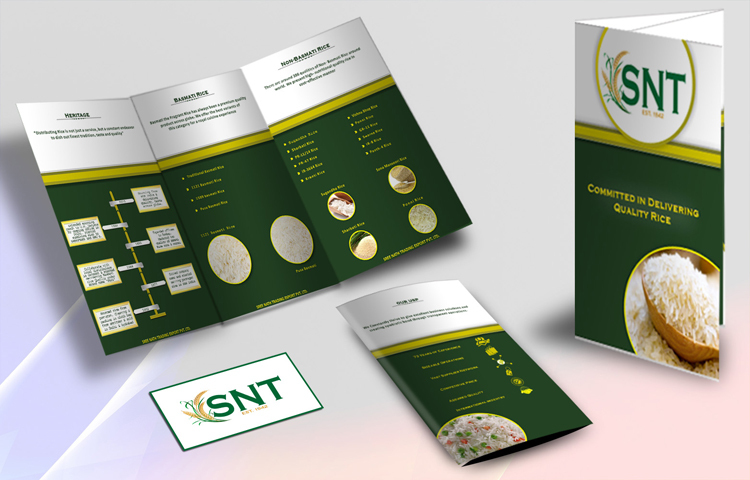 A marketing collateral which can be used in international trade fair along with the samples. Read more about our services of Corporate Identity Development, Marketing Graphic Developments. 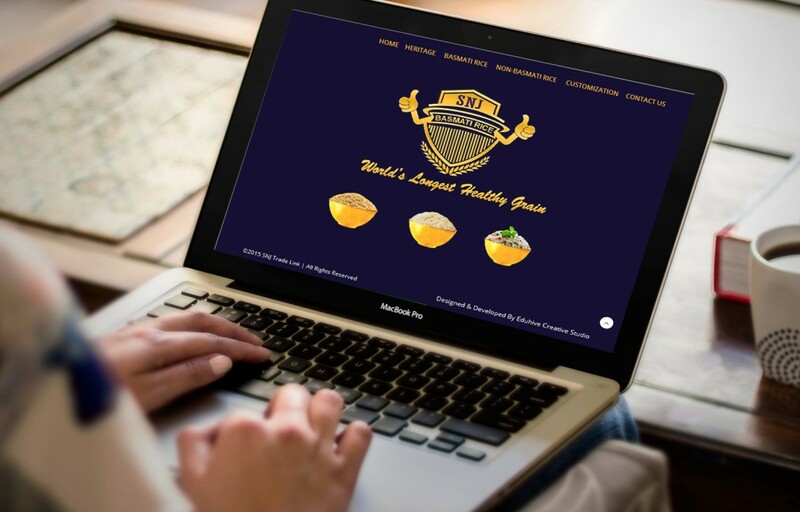 At Eduhive Creative Studio we thrive to provide best Website Solutions.. Read does your brand require rebranding to bridge the gap between you and your client.